Biochemists at the University of Montreal have synthesized the world’s smallest thermometer. To do this, they designed and synthesized DNA that had a programmable linear response to temperature. This DNA probe comes with increased sensitivity and response when compared to previous attempts. Reported in Nano Letters, the team emphasizes the development of nanoprobes and nanoswitches that will expand the field of nanomachinery and nanoelectronics. The structure of DNA wasn’t identified until the 1950’s; though the field of genetics had been around since the mid-1800s with Gregor Mendel’s famous pea plant experiments. The clues to DNA’s structure were there, but it took the work of many chemists to elucidate the double helix that is well known today. We knew of the four nucleotide base: adenine (A), thymine (T), guanine (G), and cytosine (C), and Erwin Chargaff determined that the bases pair equally, %A = %T and %G = %C. X-ray diffraction data from Rosalind Franklin and Maurice Wilkins showed DNA has a high degree of symmetry, but it took researchers James Watson and Francis Crick to use these clues to solve the structure of DNA. The efforts of Watson, Crick, and Wilkins were celebrated with a shared Nobel Prize in Physiology or Medicine in 1962. 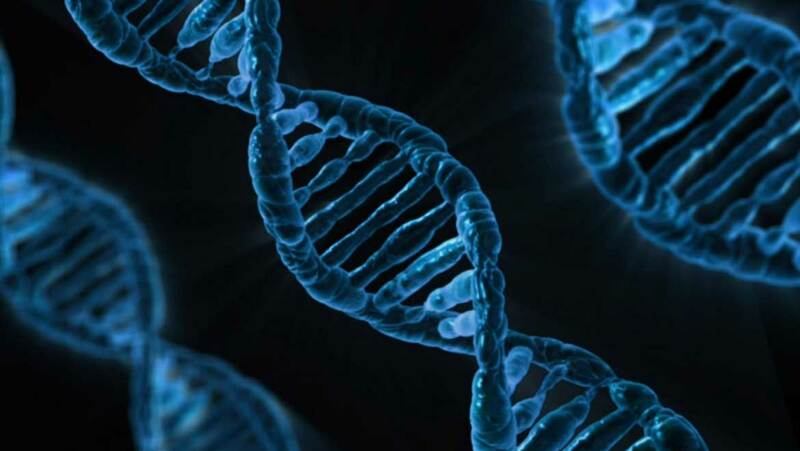 Extensive studies have been published on the biophysics of DNA. DNAs double helix structure is held together by hydrogen bonding between base pairs. Nucleotides A pairs with T with two hydrogen bonds, G pairs with C with three hydrogen bonds. Think of DNA as rail roadtracks, one strand will have a sequence of nucleotides running in one direction; the opposing strand will have the counter sequence running in the opposite direction following the AT:GC pairing rules. Put and right-handed twist on the tracks and you will have the double helix of DNA. Unlike other biomolecules, DNA has the unique ability to melt at specific temperatures. Not like a solid structure melting into a pool of liquid, DNA melting involves breaking the hydrogen bonds between the double helix. The helix will unravel and the strands will separate from each other. When the temperature drops below the melting temperature(TM), the DNA double helix will reform. Hydrogen bonds are weak, but DNA has a lot of them, this is what stabilizes the structure. Not all DNA melts at the same temperature. The more GC pairs in the DNA, the higher the temperature needed to melt the strands. With over 60 years of DNA research, biochemists have found that proteins and RNA molecules (similar to DNA) are used as nanothermometers in the cell. Cells will alter their temperatures during times of cell division, gene expression, and metabolism. External stimuli like drugs can quickly change cellular metabolic rates. Usually, the temperature variation is transient, but some diseased cells, like cancer, are metabolically overactive. In the cells, the energy that runs the metabolic machinery comes in the form of ATP. The role of mitochondria is to replenish the ATP consumed. Diseased mitochondria become uncoupled from ATP regeneration, and instead begin generating heat. The causes of mitochondrial damage are still being determined; however, it has been associated with diseases like obesity and diabetes. Current type 2 diabetes detection is based on monitoring potential symptoms,that can be mild. Nano-sized thermo-responsive materials had been developed before. The list includes quantum dots, nanoparticles, nanogels, and synthetic polymers. The major drawback using these materials was poor biocompatibility, compounded with slow response times, complex responses, difficult syntheses, and expensive instrumentation. These methods were just plain unpractical. Enter DNA. Shortly after the structure of DNA was elucidated, Robert Bruce Merrifield developed a technique to manually synthesize biopolymers on solid supports. With this method, DNA oligonucleotides could be acquired in a fast, cheap, and predictable sequence. Knowing the energy needed to break hydrogen bonds in DNA, the group from Montreal designed sequences of DNA that melt at specific sequences. When paired with fluorescent probes, the DNA functions as a high resolution, fast acting nanothermometer. The team from envisions the nanothermometers as a jumping off point for nanoscale devices. There is the possibility that the DNA-based probe may interact with other biomolecules, hampering their functions, but the team expects this technology to grow and expand.